The advance word, sent to be dutifully replicated the world over, was that All Nerve would be a ‘reunion album’. While this this might be the first album from The Breeders with the Last Splash line-up (bassist Josephine Wiggs and drummer Jim MacPherson having re-joined back in 2012) in over twenty years, you suspect Kim and Kelley Deal might have something to say about this. There’s the inconvenient matter of two other Breeders albums in between, a Breeders-in-all-but-name record as The Amps, Kelley’s other projects like R Ring and The Kelley Deal 6000 – oh yeah, and wasn’t there some other Boston band Kim played bass for once? All of which is to say: if you wanted a reunion album or a Last Splash II, All Nerve is not that. It’s something far more intriguing and exciting instead. 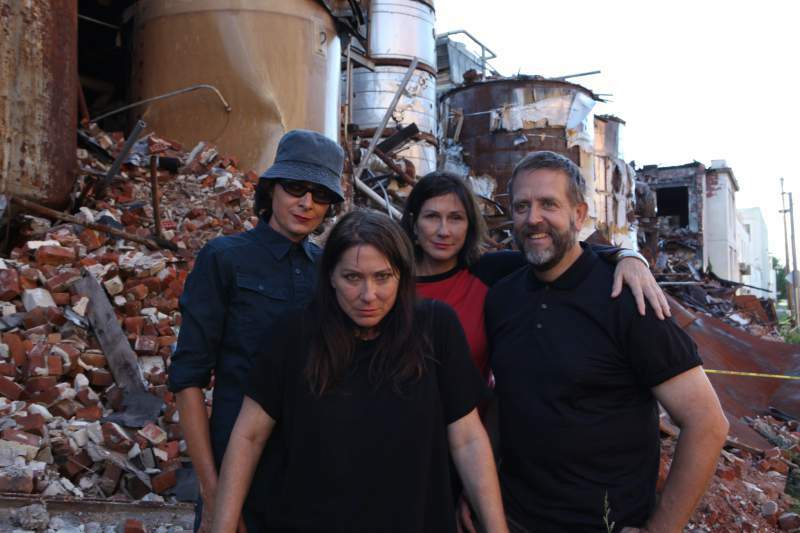 As time has gone on, the grunge-friendly surf rock of The Breeders’ biggest album has increasingly looked an anomaly within Kim and Kelley Deal’s work, with post-millennial efforts Title TK and Mountain Battles delving further and further into their own language of brittle analogue arrangements and aching noir melodicism. It’s this later work that All Nerve takes its cues from, and it might be the most distilled statement of the unique sound world The Breeders have conjured up to date. Although there’s some dramatic pulse-raising flashpoints like lead single Wait In The Car, most of All Nerve works at a more languorous pace. The echo-drenched, multi-tracked harmonies of the title track are a perfect re-introduction to The Breeders’ world, and as the album plays out there’s a pile up of astonishing, fragile ballads like Spacewoman, Blues At The Acropolis and the magnificently titled MetaGoth (never let the Deals be accused of being po-faced) that push fully into the bruised, Lynchian dreamscape that Mountain Battles hinted at. It’s surreal, tearful and bursting with deadpan wit. By design, All Nerve is not here to produce another Cannonball or Divine Hammer – and thank goodness for that. This dazzling, elliptical and wise collection defies nostalgia to confirm how singular a band The Breeders remain.